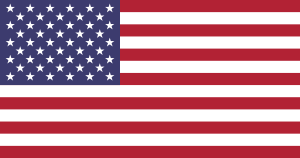 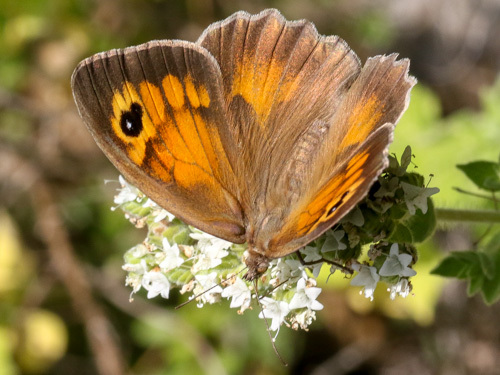 Confined to a number of Greek islands just off the coast of the Turkish mainland. 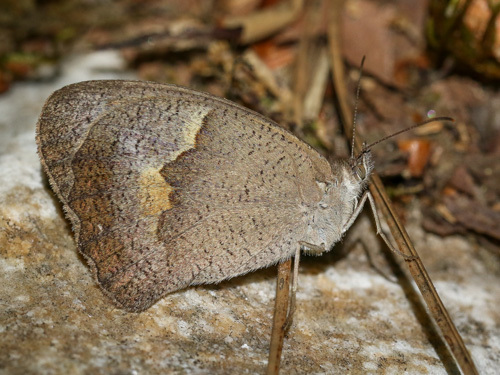 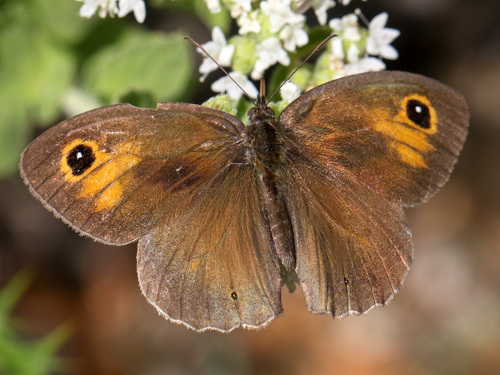 Identification & Similar species: It is said to be slightly smaller than other similar species that fly in the area. 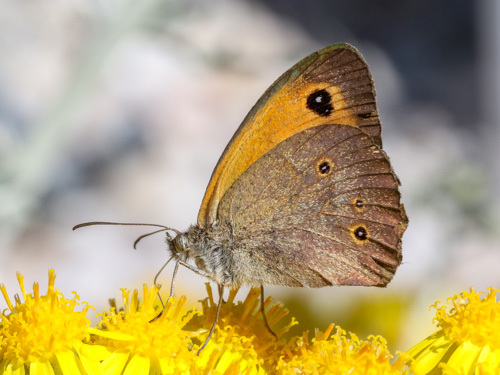 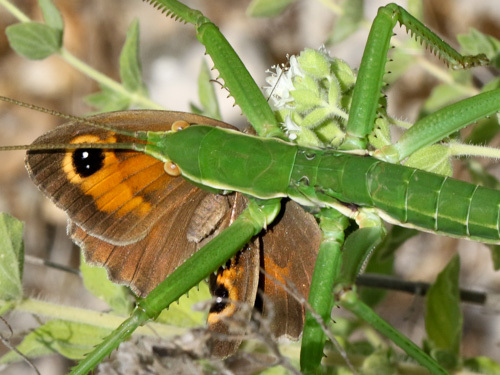 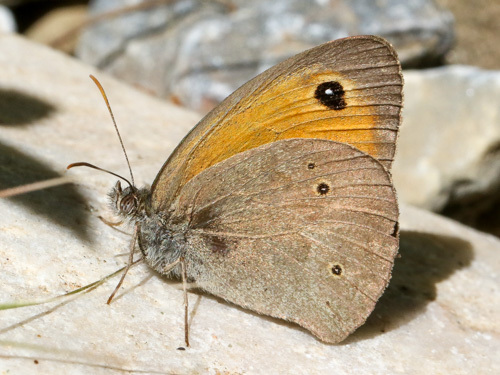 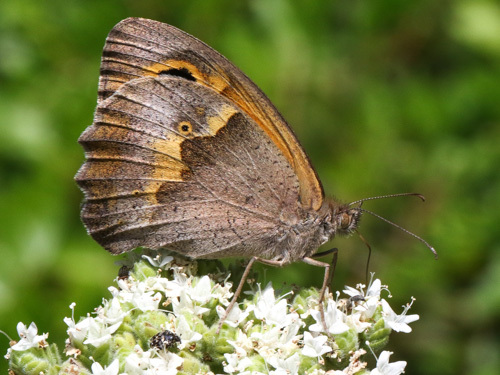 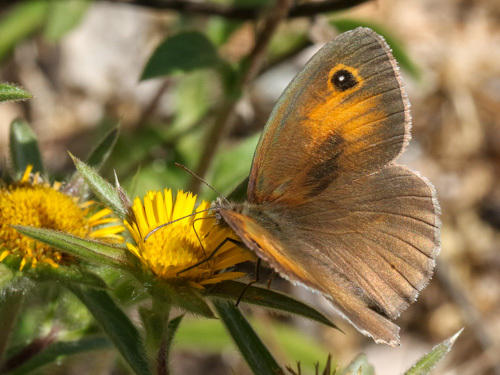 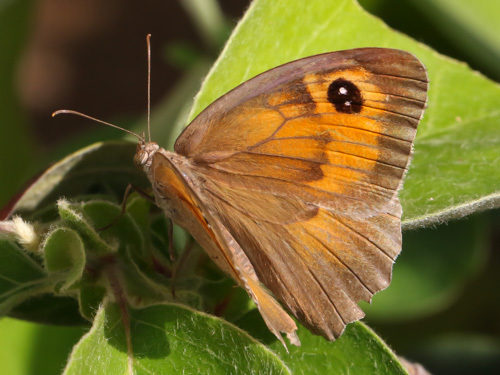 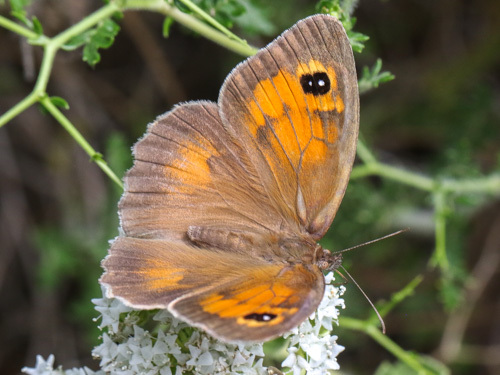 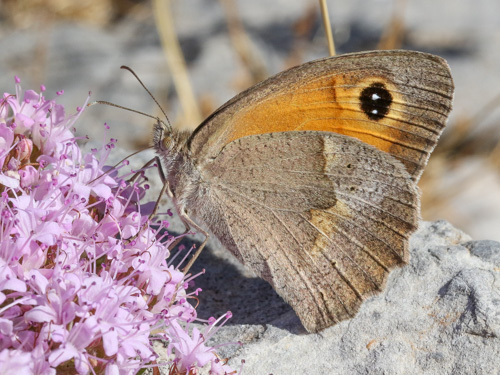 Generally the meadow brown M. jurtina is not found on these east Aegean islands. 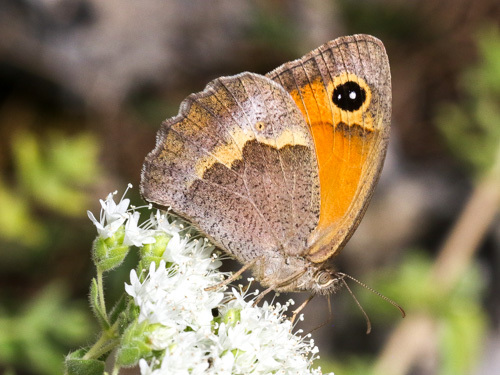 From Lesbos, M. megala is larger. 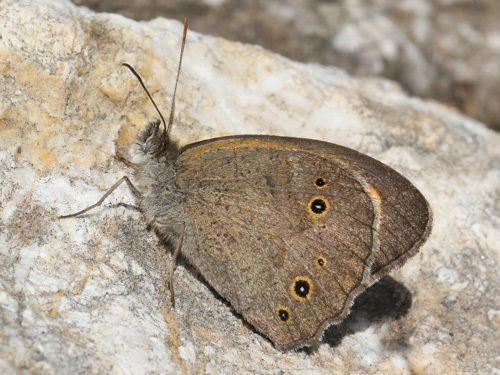 From Chios and Inousses M. chia is the only species to fly. 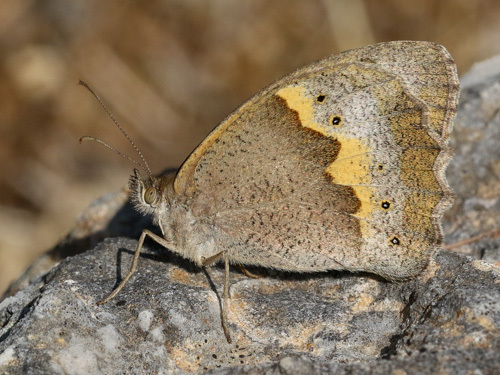 From many of the more southerly islands, including Lesbos and Samos, M. telmessia can fly with several other similar species. 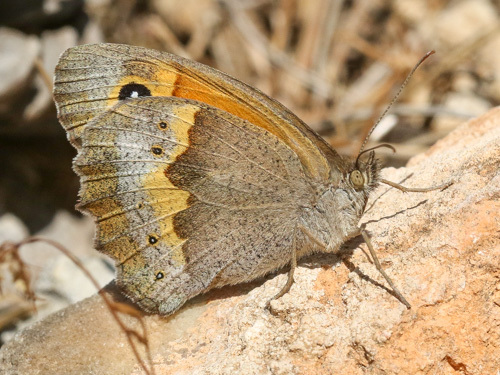 Smaller than M. megala with which it may occur on Lesbos. 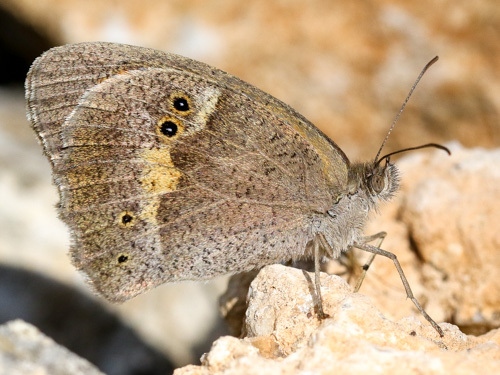 From the small island of Nissiros M. halicarnassus can be found where I don't think other similar species fly. 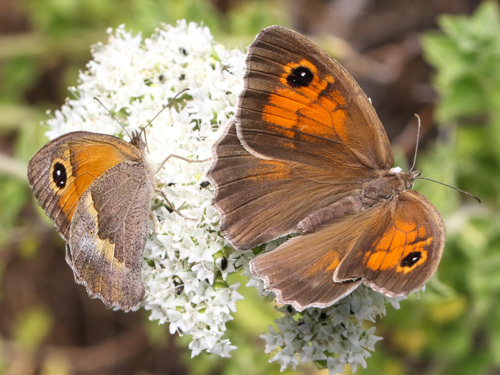 Distribution & Flight: From many of the more southerly islands, including Lesbos, Samos and Rhodes. 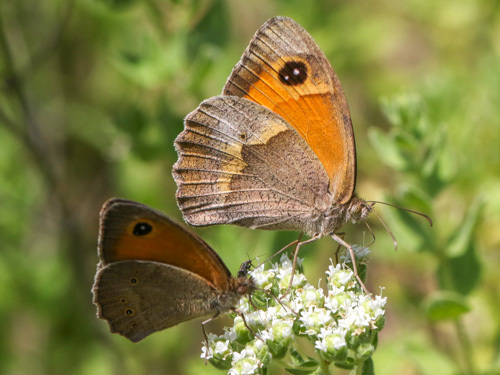 Flies from late May and June to September with a period of aestivation after which females emerge to lay eggs. 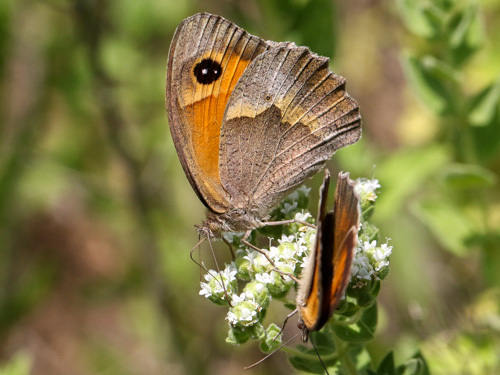 Habitat & Behaviour: Hot grassy places. 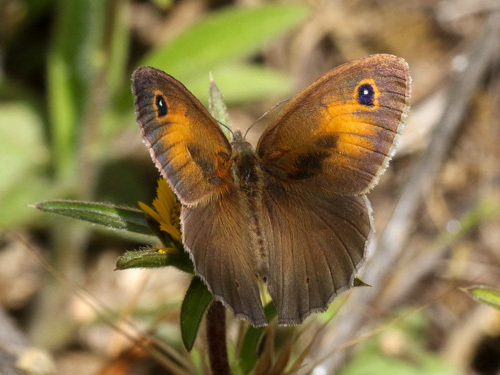 Surprisingly fresh given that the butterfly must have emerged in May or June. 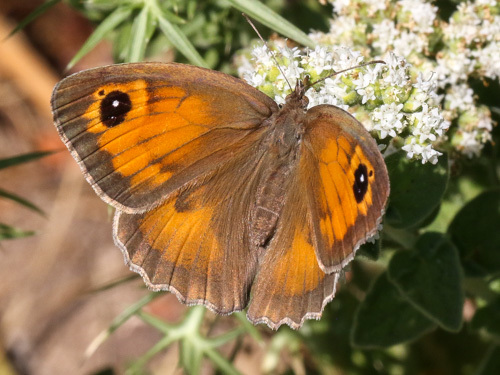 A rare male this late in the season.